for February 27th are Sorrowful. when people work together in a family of love. others like them and their own ages. in a group, under authority. God has put structure in our lives. how to love. Loving involves relationships. men and women co-create in marriage. Yahweh God said, "It is not right that the man should be alone. I shall make him a helper." how they went to Disney. in war or any situation. If we take out love what do we have? A primary purpose of the chapters of Shepherds of Christ Associates is to pray for all priests throughout the world in all their needs. A coequal purpose is to provide a spiritual way of life for members of the chapters. 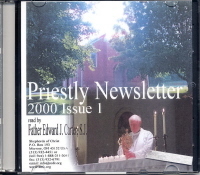 The chapters are to pray in a special way for the spiritual success of the priestly newsletter, Shepherds of Christ. Prayer for the acquisition of monetary funds to publish the letter is also in order. The chapters are to meet on a regular basis, with the members of each chapter to determine the exact frequency of meetings. All chapters are encouraged to meet on a weekly basis. If for various other reasons certain chapters cannot meet weekly, they should meet at least once a month. All persons--lay persons, diocesan clergy, and priests, brothers, and sisters in religious life--are invited to become members of Shepherds of Christ Associates. Those who are already committed to a certain way of spiritual life may adapt the spirituality of Shepherds of Christ Associates to their own particular spirituality. In addition to the purpose of the chapters as put forth above, the members of each chapter are encouraged to help raise money to defray some of the newsletter publication costs and some of the financial needs of the Shepherds of Christ Associates movement. One way for chapters to financially aid the newsletter is to pledge to pay for a certain number of newsletters each year. Our Lord has asked that the newsletter be sent to the priests free of charge, although donations may be requested in the newsletter itself. A further purpose of the chapters is to undertake those activities which Jesus, through the Spiritual Director, further reveals to be His will. The formation of as many chapters as is reasonably possible is to be encouraged. Multiple chapters may exist in the same city or area. Each chapter is to have its own local coordinator, and each country its own national coordinator. A periodic newsletter for associates will be published to help establish the desired bond or union between all chapters and all members. Members of Shepherds of Christ Associates pledge their loyal support to the Holy Father, the Pope, and to the teaching authority of the Church. Shepherds of Christ Associates exists under Church law as provided in canons 298 and 299. The existence and activity of all chapters is to be placed under the special protection and guidance of the Sacred Heart of Jesus and the Immaculate Heart of Mary. Chapters exist so that they may, according to the mission of Shepherds of Christ Associates, help to establish the triumph of the Immaculate Heart of Mary and the reign of the Sacred Heart of Jesus. All chapter members are strongly encouraged to consecrate themselves to the Sacred Heart of Jesus and the Immaculate Heart of Mary. R. God sent these messages. As I live, I live in You. of the souls of the earth. Shortly before he was to die from cancer, Joseph Cardinal Bernardin left us these inspiring words about peace: "It is the first day of November, and fall is giving way to winter. Soon the trees will lose the vibrant colors of their leaves and snow will cover the ground. The earth will shut down, and people will race to and from their destinations bundled up for warmth. Chicago winters are harsh. It is a time of dying. "But we know that spring will soon come with all its new life and wonder. 3. Joseph Cardinal Bernardin, The Gift of Peace, Loyola University Press, pp. 151-153. 1. A gentleman from Florida called and said since he got the Fatima Statue with glass his life has been transformed. 2. After using the Jesus water, pain and non-movement (for 3 years) in my fingers was healed instantly. Now fingers are cracking and working and no pain. Has taken x-rays. 3. Ruptured ACL Ligament and PCL ligament left leg (knee) and damaged meniscus. 3-4 weeks excruciating pain. MRI showed damaged ligaments - went to do surgery and scopes revealed no damage other than meniscus injury. Day before surgery we came here to pray for healing. Wife anointed knee with Jesus water. Were told prior to surgery that would be out of work 3-6 months and surgery would be 4 hours. Surgery was only 40 minutes and recovery time is 1-2 weeks. 4. My best friend (a couple) was granted a son, which now is my godson. They've been married for a long time but never had a child until they both came to see the Virgin Mary's image. 5. I just wanted to tell you we have had so many prayers answered most especially since we have had the image statue in our home a few months ago. Prayers being miraculously answered for our children & grandchildren, our daughter's heart has literally almost healed ... she is also pregnant and that is also a miracle that she carried the baby this far, she is so thankful and also her cardiologist can't figure out how she is doing so well, and even agreed with her it must be prayers being said for her. He also told her in her 4th month to abort the baby, maybe he will have a conversion, we hope. Others in my family have changed since we got the statue. They are more understanding and patient and love being a Catholic more than ever before ...We thank Jesus, Mary, Rita and you all. Praise all of heaven. We are also so eager to have many more prayers answered. We are giving our married children a 10 inch statue each for their homes and red prayer manual if they would also like to say the prayers if they so choose to. The statue we know will help them with many graces as they pray before it as it has helped us in our home and lives. Love you all. 7. My mother was diagnosed with Acute Myeloid Leukemia in April 2005. She received the Jesus water of Clearwater that my brother brought to El Salvador. She was treated at Instituto Salvadoreno del Segino Social. She was expected to live 3-6 months. She lived well for 2 years. Now she rests in peace with Lord Jesus and Virgin Mary. She died of Pneumonia March 21, 2007. 8. The CAT scan showed a dark spot and they thought they would have to remove my right kidney. My family went to the Blessed Mother and asked for prayers and help. They also got the healing water. Well all our prayers were answered. There was no cancer or tumor. Thanks for all your prayers and help, and thanks to the Lord above. 9. Knees were injured from motorcycle accident July/August 2006. His mom got the water in Florida right after the accident and took it to him and he used it every day and now his knees are completely healed. He knows Jesus water did it. 10. Suspected blood clot. Pain in leg with swelling. Jesus water was used and pain went away and swelling. 11. Barretrs – My husband brought Jesus water to hospital and put on my stomach. Biopsy came back fine. 12. A man from South Carolina came to thank Jesus and Mary for his healing. His brother sent him Jesus' water when he was diagnosed with terminal cancer. Three doctors told him there was nothing they could do for him. He started using Jesus' water and started feeling better (He could hardly walk, he was using a wheelchair a lot). He went back to the doctor and tests showed no more cancer — gone! The doctor told him he never saw this happen before. He is around 70 years old and walks and feels normal. 14. This woman filled out a healing form at the site. I am so blessed by the Blessed Mother that she has been there for me on more than several occasions. She performed a miracle on all occasions, one in particular was cancer of the right leg. The doctors wanted to cut my leg off the cancer was in the bone. When I returned to New York and went to a plastic surgeon he saw the cat scan and said my chances weren't good. When he did the surgery the cancer was not in the bone. It was superficial. 15. Stroke. Healed August 2006. 17. Infertility. Conceived and gave birth exactly 9 months after our first visit to Clearwater in August 2000. Our son was born exactly 9 months after our visit (May 20, 2001). I've had surgeries on both ovaries in 1998 and had very little chance of conceiving. Mother Mary gave us our blessing and wish. 19. Cancer of the lungs. A friend of ours who we visit from Canada. 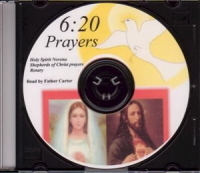 He told us of his illness and we came and prayed at the Virgin Mary's appearance on March 28, 2006. He had Jesus' water put on him the night before his surgery. His surgery was on March 31 and the cancer was gone. Thank you for your blessings. 20. Lower back muscle strain. After straining my back I used the Jesus water before using pain crème. After putting on the water I no longer needed the crème. The strain was gone. 21. Neuropathy. He had gotten Jesus water a few days ago and went to the doctor yesterday. 22. Pregnancy. I could not become pregnant. I came here to ask Mary to extend her hands on me, to be able to have a child. The miracle happened. I did not know that other women had become pregnant by asking Mary. My son is 3 years old. I am convinced that he is called to be special in his life, he has a mission. When she went to see the doctor, specialists, they said forget it, she couldn't have a baby, and she went to many different ones. Came here to pray and became pregnant. All the doctors never understood what had happened. They said he is a miracle child. 23. Pregnancy. Became pregnant of twin girls after we prayed in 2005 and even have a statue of the Virgin Mary in our yard. After 15 years of concubinage Virgin Mary finally blessed us. Thanks. Thanks. Thanks. Jesus water was used to help conceive. 24. A woman came in today from New York and said she was here last March (2005) and got the Jesus water. Her cousin who was very healthy and had just retired at age 60 suffered a massive stroke. He was taken to the best neurological hospital in New York and the doctors said he had no chance of recovery. He had a blood clot at the base of his brain stem. He was in intensive care and the woman with the other family members were visiting him and she put Jesus water on him and they prayed over him, while he was laying in bed in a fetal position unable to talk was paralyzed. After she had left (only 30 minutes of visitation in Intensive Care) the woman received a call from her cousin's wife saying the man had sat up in bed after they left and was miraculously healed. He is back at home now. The doctors came in and said this was a miracle. This was 2 months ago. 25. Dermatomyositis (a form of Muscular Dystrophy). I was given 6 months to live. I was really depressed ready to give up when, while being in town for my girlfriends niece's Christmas Party. I heard it on the news. (December 17, 1996) Decided why not let's go, when I got here I was not expecting to see what I saw. I couldn't believe what I saw. Within an hour I put the cane down, slowly but surely got better enough where I wasn't paralyzed or dead. Thank you Jesus and Mary. 26. Small Bowel Syndrome. Infant acquired surgical intervention at birth. 4 months care at home. Healed completely as of May 2005. 27. Newborn very sick - 2 lbs. My mother came to visit me. We used to live in the post apartments by Target. I brought my Mother to the Virgin Mary Building in Clearwater and she prayed for my niece, who was in Guatemala. When my Mother returned to Guatemala she took the picture of Virgin Mary and put it in my niece's room. When my niece was born, she needed a tube feeding. She couldn't eat on her own. She was very thin and very sick. Many people told my sister and my mother (including the doctors) that my niece was so sick that she probably would died. Thank to our Lady Virgin Mary, my niece is a healthy gifted 9 year old girl. - Guatemala - Healing was at 6 months old. 28. My daughter was told she had thyroid cancer, after having one side of the thyroid removed they found the cancer was gone. This had to be due to Mary and Jesus Water and her belief in the Mother and Son. 29. Virus. He was in Egypt. His relatives came to the site and asked for prayers for healing for him. That same day they were here he was completely healed of his Liver virus. He is a physician. 30. After waiting about 8 months for the baby to get bigger for the surgery, the doctor checked him and couldn't believe it, but she said, "It just fixed itself." He was 4 months premature and this surgery would have lowered his sperm count significantly and its already been lowered by a double inguinal hernia surgery. 31. Burst tube with unexpected pregnancy. Was internal bleeding. Doctor told was miracle, surviving from this kind of operation. She (the mother) had come to the site and prayed to God if this Image (Our Lady of Clearwater) was from God to grant her a miracle. Her daughter who was in Lithuania at the time was in the hospital and the above miracle happened during the 2 hours the mother was praying at the site. 32. Heart failure. He was not breathing. Jesus water was poured on him while praying. He started breathing again. 33. When I was pregnant, my baby was sick. My baby born was well. Thanks. 34. Flu. Both sitting in car, praying rosary both sick of flu. He very sick, not getting better. Both used the water, felt pain leave body, didn't say anything, but after few minutes he said "I feel pain is gone." They drove back to tell us that they were healed. 35. Asthma. Put Jesus water on neck. Breathing much better. 36. Severe back pain. Have a bad back from laying brick for years and sometimes I bend over and the pain is severe and it takes at least 3 or 4 or more weeks for it to go away. I put Jesus water on it and it went away in 2 days. Alleluia. 37. I must admit that some days I forget to wash in the water. But I have felt the same feeling once again a few days ago as I did on March 2nd, the first time I applied it to my knees. On the movie that you took, I am walking on the beach without a cane. I don't know if you noticed. I didn't use the cane yesterday, and I have no pain. I'm still slow at climbing the stairs, but I'm seeing a tremendous improvement. I'll keep a journal, and continue updating you I pray a lot, as I'm applying the medicine. Part of my prayer is "If it be your will." Thank you. I'll be in touch soon. 38. My husband had a good friend and he was diagnosed with cancer and given less than a few weeks to live. Jesus told me to take him the Jesus water. I never really met him, but I went to the hospital. He was so sick. He bounced up and said I knew it - I will be healed. And he lived over two years longer. 39. Leukemia went into remission February 7, 2003. Her doctor can't believe how well she is doing. She has the worse kind of Leukemia there is and she is doing extremely well. He said this does not happen, so soon, we told him its because of all the prayers, everyone is saying for her. The day after we visited the Blessed Mother Building, her blood count was excellent. Thank you so much. As of 11/3/2004 she is still in remission and doing very well, a happy 10 year old little girl. We are all so thankful for all the prayers from everyone, we truly believe, if we hadn't had our faith and by going to the Virgin Mary building so often, we wouldn't have been so fortunate to have her. Prayer is still the most powerful and healing process. Thank you so much. 40. Spinal Manangitas. December 16th, 2002 we almost lost our little grandson. He was taken flight for life to Madison where they worked on him for hours. They told us he would either be blind - deaf - brain damage, or he might not walk. Today he is a happy - healthy little boy full of life. Thanks to everyone's prayers to our Blessed Virgin and our heavenly Father, without them we would not have him. Thank you. As of this date November 3, 2004 our little grandson is doing very well, a healthy happy little boy, and so full of life, and without any complications. Our prayers and by going to the Virgin Mary building truly helped this little boy. Thanks to everyone for all their prayers. 41. After my family visited the Virgin Mary and returned to hospital, I showed no sign of having a stroke. Doctors at hospital said I would not recover. 42. A couple today told of a friend who has a priest friend who was unable to move his legs (possibly a stroke) and they put Jesus water on him and he is now walking and has gone back to the Philippines. I gave them a healing form to give to their friend. They said he uses the water every day on his legs. 43. You people are great! My son is using Jesus Water for 2 Years and now his cancer is in remission. I thank you for suggesting we send it to him and also thanks for God's Blue Book 11. 1. R. Jesus was locked in the tomb for three days and on the third day, He rose from the dead. Death has no power over Jesus! 2. R. Jesus rose to bring us new life. We are partakers in His Divine life. If we have been baptized and remain in the state of grace, He remains within us with this vibrant life. Jesus says: I am alive! I am alive! I am alive! 3. R. Think of every moment of every day, how you go through your day. Silently, Jesus is with us. Jesus: I love you, I love you, I love you, My dear one! All through your day stop for the little moments when you are plagued with doubt, stop and hear My gentle, loving voice say oh so softly: Oh, how I love you! 4. R. Who are we that God the Father sent His only begotten Son into this world? Who are we that we can be partakers in His life? 5. R. From the pierced Heart of Jesus on the cross flowed blood and water. The sacramental life of the Church was born. Water for baptism. Blood for the Eucharist. 7. R. The Father created each one of us uniquely special. There is not another person like us. He has a plan for each one of us. He wants us to live according to this plan. It is in living according to this plan, we will be the happiest. God allows us to share in His life through baptism. Our human nature is elevated. 8. R. Jesus is the mediator. Jesus became a small baby, born of the Virgin Mary. God, became a little baby out of greatest love for us! 9. R. Jesus gave to the apostles the power to baptize and to forgive sins. R. In baptism we are made children of God and heirs of Heaven. 1. R. These are truly the Glorious Mysteries! Jesus' lifeless body was locked in the tomb and He rose from the dead. Jesus ascended into Heaven. Think of this! 3. R. Jesus ascends into Heaven and a cloud took Him out of sight. 4. R. The apostles walked with Jesus! They lived with Jesus! How well they knew Jesus, yet they were overcome with fear! 6. R. Jesus is with us this day. 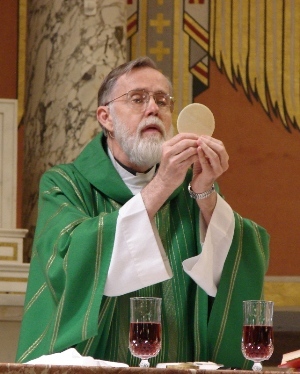 He remains with us in His Divinity and humanity in the Eucharist. Jesus feeds the life that we received through Baptism with His very own Body and Blood. 7. R. Jesus feeds us with His Word! 8. R. When we are baptized and remain in the state of grace, the Trinity: Father, Son and Holy Spirit, dwell within our hearts in such a special way. Do we realize God is in us when we are baptized and remain in the state of grace? We are never alone! Within this interior life that we have is the small, quiet voice of Jesus telling us all throughout the day, minute by minute, second by second, that His Heart beats on fire for each one of us. He whispers in our heart, if we quiet ourselves to listen, He whispers ever so gently: "My beloved ones, Oh how I love you"! 9. R. Never are we alone! Jesus is such an ardent lover. He remains with us. As we breathe, as our heart beats, He is attentive to us! 10. R. Jesus wants to be one with us. Jesus wants us to forever be about our union with Him, to be so close to Him, to be conscious as we breathe of His presence at every moment. For He is truly there and He is softly saying: "I love you, My beloved one." 1. R. The apostles were filled with fear and had locked themselves in the upper room with the Blessed Virgin Mary. There came a gigantic-like wind and over their heads appeared parted tongues of fire. 2. R. And they were filled with the Holy Spirit and began to speak in foreign tongues as the Spirit prompted them. 3. R. They were transformed from fear to fearlessness. They went out to the world to preach the Gospel and all understood. 4. R. They were no longer afraid! Holy Spirit, transform us from fear to fearlessness so that we have the courage to go out into this world and spread the Gospel, to spread the Good News of the love of the Most Sacred Heart of Jesus and the love of the Immaculate Heart of Mary. 5. R. Jesus calls us to holiness. The Holy Spirit sanctifies our souls. Dear Holy Spirit, please come to us. Transform us more and more into the image of Jesus. We are weak. We need You to help us to be more and more like Jesus. 6. R. What comes from the heart of men is what is projected into this world. If our hearts are filled with the love of God, what comes from our mouth, what is seen from our face, is love. Mary's face is so beautiful because Her Heart is pure and full of love. Look into one another's eyes. The eyes are the windows of the soul. The love of a heart fixed on Jesus shines into this world. 7. R. A heart that is full of hatred and anger, projects angry words on this world, angry and hard faces. Dear Holy Spirit, work ever more in our hearts because it is only through You that we can become like Jesus. We need You to help sanctify us and make us holy. We can not do this on our own. 8. R. Where we are blind, help us to see our faults and admit our faults but to continue to spread the light and love of God into this world, to not hide little faults which keep us from our union with God. 9. R. You call us to holiness. You call us to a pure heart. It is only through Your grace we can be transformed. We ask You to shower us with Your abundant grace. 10. R. Oh Divine God! Give us Your life! Abundant Life! R. Help us to be saturated more and more with Your grace. I have been crucified with Christ and yet I am alive; yet it is no longer I, but Christ living in me. The life that I am now living, subject to the limitation of human nature, I am living in faith, faith in the Son of God who loved me and gave himself for me. 1. R. Mary remained on the earth many years after Jesus' death. Now she is taken up into Heaven, body and soul! 2. R. Think of the time when you were closely united with Jesus. Think of when you felt the closest after you received Him in the Eucharist. Mary is so one with Jesus. Mary is sinless, pure. Someday we will be in Heaven forever and ever and ever if we love and serve God. The union that we have with the Father, Son and Holy Spirit will be so intense, much more than the union that we have experienced here on earth. 3. R. Jesus gave to us His very own Mother to be our Spiritual Mother, to lead us as we go through our journey from birth to death, to lead us and guide us on our way from babies in the spiritual life to a more advanced spiritual life. Mary is truly our Mother and she is here with us this day to guide us, to form us, to help us to be more and more like the image of Jesus, her beloved Son. 4. R. How man is in his heart is how he projects to this world. How are we in our heart? If there is any anger or hatred with our brother, we can not unite at a deep level with Jesus, Who is Love. Jesus wants to outpour to us His grace. He wants intense union, but we must pray to the Holy Spirit to sanctify us, to help us rid ourselves of the debris in our hearts that take us away from being like Jesus. R. How His Heart burns, burns for love of us. "Burns" is such a flimsy word to describe the unbounded, unending love that God has for us! 6. R. As Mary took care of Jesus all through His life and walked with Him on Calvary, she walks with us through all of our sufferings and trials. Our Beloved Mother is at our side to help us grow more like her Son, Jesus. 7. R. Jesus is alive. The Church is His bride. Mary is the Mother of the Church. 8. R. Jesus and Mary are so present to us here in this, her House. We are chosen! We are called here! We are His apostles to spread the love of His Sacred Heart to this world. We are truly chosen! We are favored to be here for They are with us. We know how every time we come here we experience this immense presence. Mary went up into Heaven but she is present with us this day! 9. R. Heaven is our true home. 10. R. Jesus, help us to love Your Beloved Mother more and more, to model ourselves after her, she, who has such a pure and tender Heart, to be closely united to her, to feel her presence, to feel her maternal touch, to feel her as she holds us and presses us so tenderly to her Heart. Our Beloved Mother holds each one of us as a little child close to her breast! 3. R. Mary, our Mother, is Queen of Heaven and Earth. She is so close and loving us. We should feel comforted by this most strong, maternal love that she has for each one of us. 4. Mary: My dear chosen ones, how I hold you so closely to my breast. How I protect you from this world that is hurting. How I am forever with you and never leave your side. Come to me! Speak to me! I am your Beloved Mother! I love you with such a tender Heart! I will never leave you! I will always be with you, watching out for you and protecting you and leading you ever closer to the Most Sacred Heart of my Beloved Son. 5. R. Who are we that we are so favored to be so close to Jesus and Mary, to know the presence of the Father and the Holy Spirit, to go to Mass every day and partake in the event of the Mass, to receive God within our breast! He gives Himself to us! We are truly chosen and given such great gifts in this Center! We are chosen and called to go out into this world and to spread the love of God in our hearts to the world that is hurting. We are being called by Jesus and Mary every day. They want us to go out and to do this, to pray for the fearlessness that only the Spirit can impart to us, to do what the Father's will is for us. For He has a special plan for us. He has given us such great gifts. We are part of this gigantic plan to spread the love of the Sacred Heart of Jesus and the Immaculate Heart of Mary to this world. 6. Mary: And the world will hate you, My children. The world is cold and in darkness. They have lost their focus of God. Many have become godless. I call out to you, my beloved children, to come ever closer to me and let me lead you to close union with the Father, Son and Holy Spirit. Jesus, my Beloved Son, is ever with you, outpouring His love to you. If you realize the love of Jesus, you can not help but love others. You must focus more and more on the intensity of the love that He has for you for it is in realizing this intense love that you will spread this love to others. 7. Mary: Little children! Little children! You do not think that I speak to you! But I call you every day. You do not quiet your hearts and listen to my plaintive cry. Take my words seriously. I am sending you into this world to spread the love of my Son into this world. I beg you! I beg you to pray, pray for fearlessness so that you will not be caught up in the pressures of this world that try to keep you from the work that I am asking you to accomplish. 10. R. Mary, lead us closer and closer to your Heart for it is through your Heart that we will be ever closer to the Most Sacred Heart of Jesus. It is through your Heart that the Holy Spirit can transform us more and more into this image of Jesus. It is through this transformation that we will be led closer to the Father. We ask you, Mary, to draw our hearts closer to your Heart, for you are the key to help us have a deeper, deeper union with the Father, Son and Holy Spirit. This is our plaintive cry to you, Mary, to lead us ever closer to you so we may be led ever closer to the one Triune God. This rosary was prayed before the statue of Our Mother of Sorrows at the Holy Spirit Center following the Healing Service. Besides, Rita, Cathy, Joe and Marty, many people were in attendance.